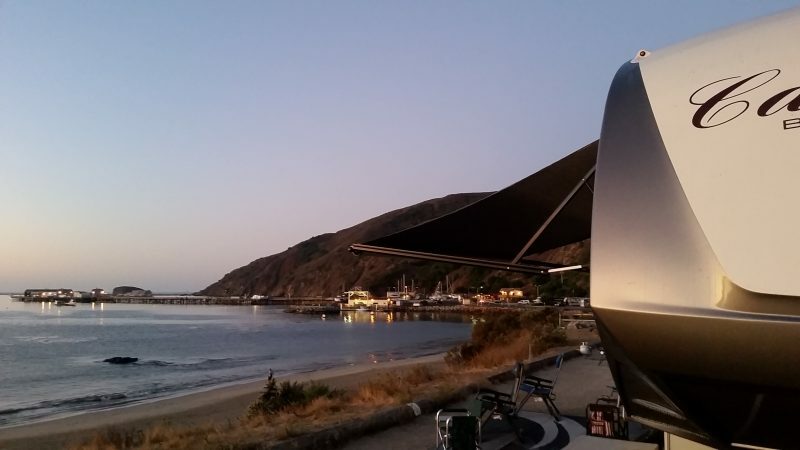 Because RVPlusYou focuses all of our marketing efforts, and dollars, on finding those RV renters who are looking for an RV rental that will delivered and set up at their location, we’ve made some major changes to our search process. ‘Delivered Search’ for an RV rental will now focus first on the location where the renter needs an RV delivered. 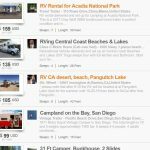 It then lists the RV rentals within that delivery search area that are available to be delivered and set up for the renter. 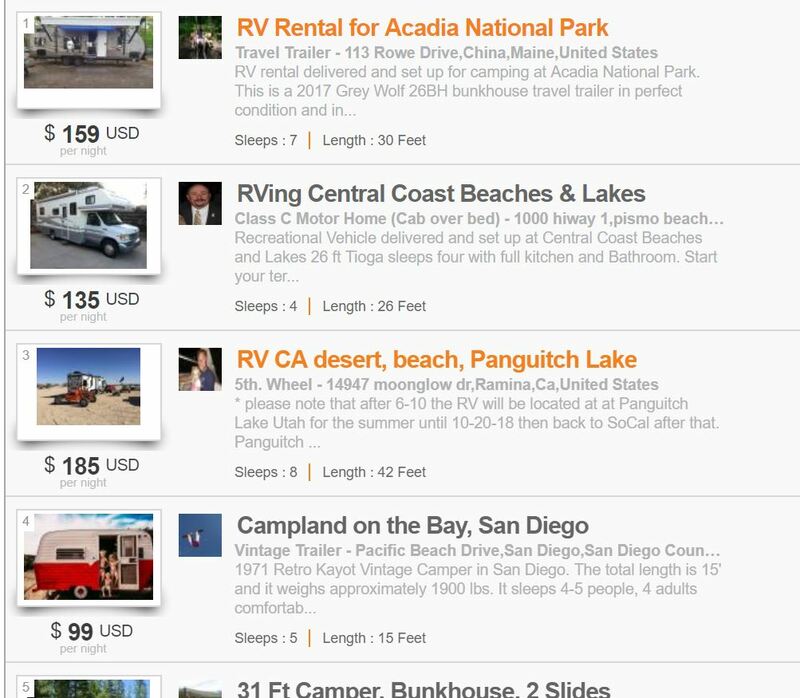 User enters destination city, campground, address, or event in the RVPlusYou search bar. 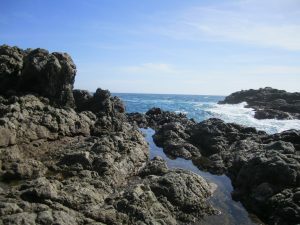 This can be a music festival, a private home address, or an area RV park. 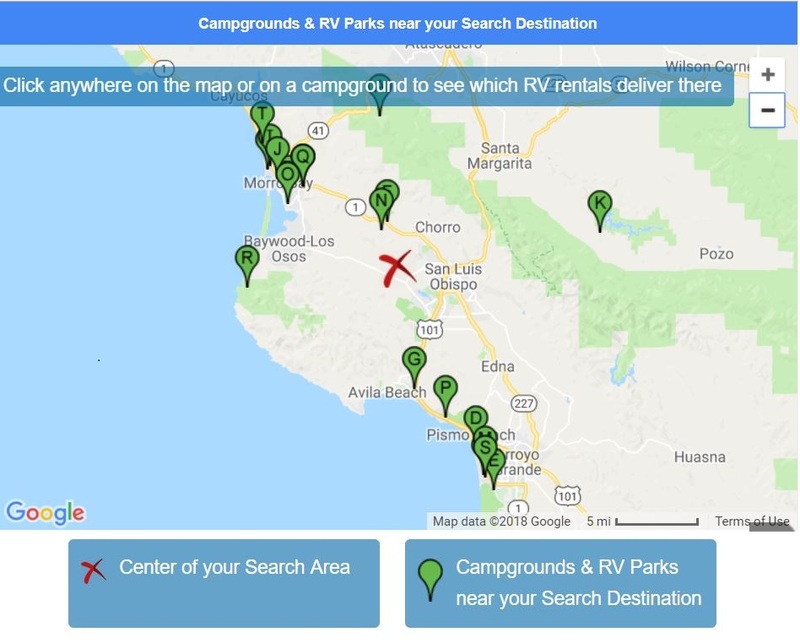 Once the user enters their desired destination, they are presented with a list of RV rentals on the left (for PC’s and larger screens), or below for smaller screens (Smartphones). On the right is a map of campgrounds and RV parks located within the user’s delivery area. The same map is available as an option on smartphones, located at the bottom. User has the option to immediately start browsing RV rentals, or they can use the map to center or move their delivery area and find more RV rental options that will deliver for them. The address of your RV listing will now be the center point of your delivery area. The default range is 75 miles. If you will deliver further, or not that far, then you will need to adjust this variable in the ‘edit address’ field where you manage your RV listing. It is highly recommended that you spend some time adjusting your listing to fit the new delivered search process. 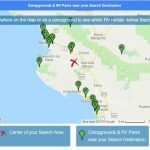 No longer will your RV show up on a map. Your address will be used as the center of a “delivery area”. We don’t use keywords in the title, so you don’t need to list multiple locations. It is no longer necessary to have multiple listings for the same RV. If you would like to cover a larger area, then adjust your delivery area in the Manage RV section of your listing, by updating the delivery area underneath your address field. Reviews are important, so make sure to keep your RV listings that have reviews. Simply change the address and update the title. 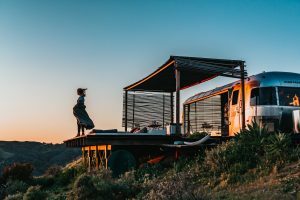 If you have RV listings that you want to eliminate, but you want to keep the reviews, let us know and we’ll move your reviews to the RV listing that you’ll be keeping. Update your title. This is most important. If you have a location specific title, such as “RV Rental for Lopez Lake”, then this title is location specific and may confuse renters. It may be delivered to Lopez Lake, but it may also be delivered to a home 20 miles away for a family reunion, or an RV park 5 miles away. Make sure your title is appropriate for the new Delivered Search process. We’ve added new fields. Make sure your listing shows the correct length of RV, the correct address, and the correct number of people that your RV sleeps. More new fields coming, such as year, make, model. Note: This information will be displayed in helpful ways and will be used for future filters added to search options. As always, if you have questions simply give us a call or drop us an email.